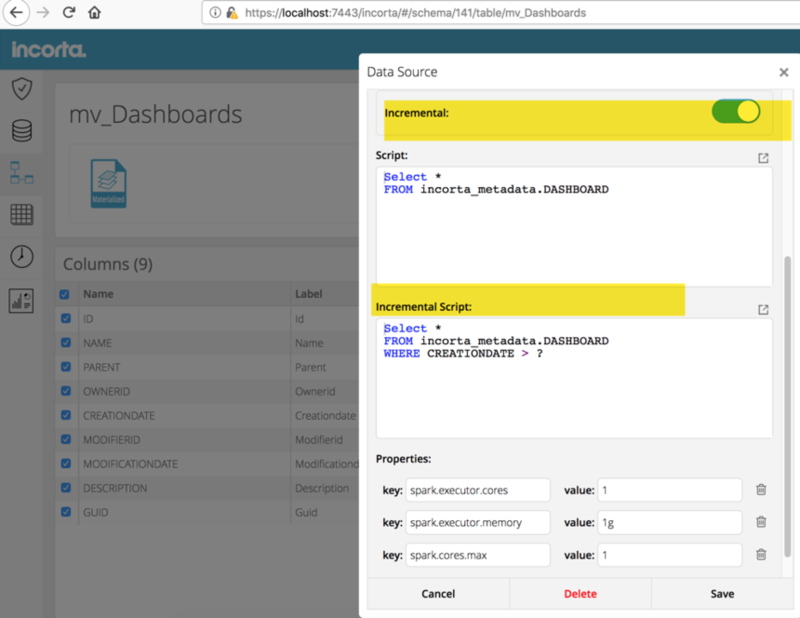 Incorta allows you to create Materialized Views using Python and Spark to read the data from the Parquet files of existing Incorta Tables, transform it and persist the data so that it can be used in Dashboards. Creating bridge tables to resolve many to many relations . Creating an aggregate table from a detail table and using that to join as a parent table - for eg let us say we have a line table and a distribution table which is at a lower grain than the line table. Now we want to keep the dashboard query with the line table as the base table and just want to get some aggregated metric from the distribution table. Then a MV can be created on the distribution table with a key of the line table which is then joined as a parent table to the line table. Use the language as SQL if there is only query for which you need to create a MV. For other complex usecase you can select Python as the language. Incremental logic can be supported in a MV if a proper key can be defined on it. Select * FROM incorta_metadata.DASHBOARD WHERE CREATIONDATE > ? The most accurate way to run incremental MVs is to select the max date from the MV itself to get the incremented data accurately. //here we are going to read the MV itself. Good info. 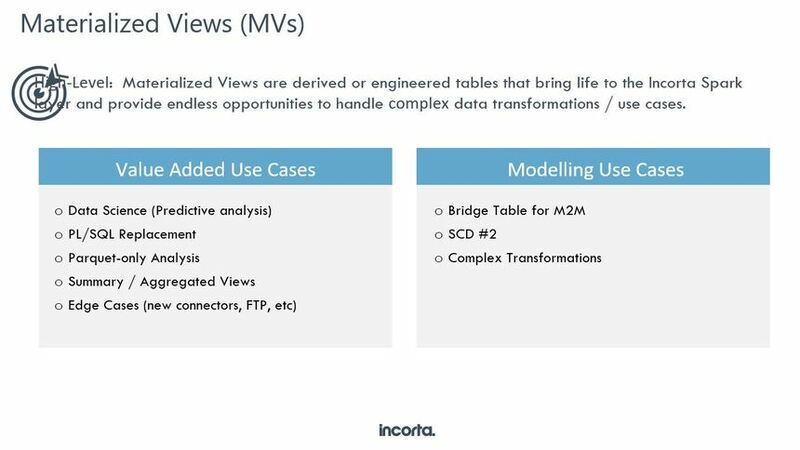 One suggestion from performance perspective: In the following sql, the select max(mv.last_updated) from mv will be evaluated as many times as the join between sales and products return rows. I recommend moving the sql to get the max last_update_date one step above and execute it once and store it in a variable. Then use that variable in the incremental sql.